Dhaka based Biman Bangladesh Airlines has made it known that they are studying the possibility of bringing freighter aircraft into their fleet. The carrier operates a fleet of thirteen passenger aircraft. They now have one of the youngest fleets in the region, with an average age of around 7 years. There are four B777-300s and two B787s which operate on long haul routes. Regional services are covered with their four B737s and three Dash-8 aircraft. Export cargo from Bangladesh is booming and it is estimated that around 200,000 tons are moved each year, the majority being carried by foreign competitors operating with all cargo aircraft. 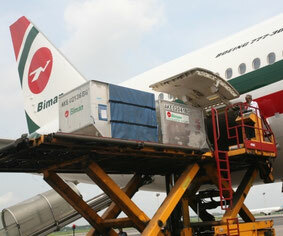 Whether Biman’s managers will opt for their own freighters or look at doing a deal with other carriers, remains to be seen. 2018 was another good year for the German Fraport Group as far as passengers handled was concerned. The air cargo result was however somewhat disappointing. A total of 69.5 million passengers passed through Frankfurt Airport during the past year. This represents an increase of 5 million passengers or +7.8% over 2017. Fraport state the increase is the result of new and more routes having been added from FRA and that some airlines upped their frequencies during 2018. Aircraft movements at Germany’s largest airport increased by 7.7%, totaling 512,115 takeoffs and landings. The air cargo results were slightly below expectations. A total of 2.2 million tons were recorded during the past year. This was 0.7% less than 2017. In their release Fraport state that the cargo decline was mainly due to growing uncertainties in global trade, particularly during the second half of the year. December cargo results were however positive with a total of 183,674 tons handled, an increase of almost 2% compared to December 2017. 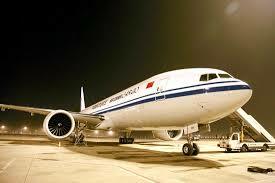 Beijing based Air China announced in the second half of last year that they intended to get rid of their majority stake (51%) in Air China Cargo. The selloff won’t go far away as the intention is to hand their share over to Capital Holding, a subsidiary of the China National Aviation Holding Corporation (CNAHC) which owns almost 54% of Air China. The cargo arm runs a fleet of 15 freighters and the planning is that Air China Cargo will operate as an independent carrier. Hong Kong-based Cathay Pacific owns the other 49% of Air China Cargo and it can be expected that they will pool resources and equipment in the future. Illinois, USA-based SEKO Logistics which has more than 120 offices worldwide will set up their own operation in Ireland after having been handled there in the past through an agency partnership. The decision to invest in an own operation is because of what SEKO Logistics see as an ever-increasing trade in and out of Ireland and the fact that the Irish economy is now back on track. SEKO will invest in a new facility and also its own staff in Ireland. By putting money into their own operation in Ireland, SEKO aims to have a firm platform whereby they can expand even further there into the retail, medical device and hi-tech sectors. Many of the companies operating in these sectors in Ireland are already clients of SEKO Logistics. The export of medical devices now represents around 8% of Ireland’s total merchandise exports. A lucrative market which is expanding rapidly. An aging Boeing 707-320C freighter belonging to Tehran based Saha Air was destroyed in a fatal crash at the Iranian airport of Fath on January 14th. One of the last remaining B707 freighters in operations, the aircraft registered EP-CPP and listed as officially belonging to the Iranian Air Force, was operating a cargo flight from Bishkek (Kyrgyztan) to Karaj (Iran). There were a total of 16 crew on board the 42 year old freighter. All but one are said to have perished. The reason for the crash was that the crew landed at Fath Airport instead of Karaj Airport. Both are just a few miles from each other. Fath Airport’s runway is however only 1,000 metres in length and far too short to allow a fully laden freighter to land safely. The aircraft overshot the runway and crashed into a housing area beyond. Karaj Airport’s runway is 3,660 metres in length. Back in November 2018 an Iranian passenger aircraft (MD-88) belonging to Taban Air almost made the same mistake, but the crew recognized their error and were able to overshoot and land safely at Karaj. Japan’s Nippon Cargo Airlines (NCA) have decided to hand over the operation of their three Boeing 747-400 freighters to U.S.-based Atlas Air. NCA has not operated their -400 freighters since having had to ground them in June of last year due to what Japanese authorities termed as severe maintenance records concerns. The Japanese carrier has since then been trying to rectify the errors and get the 747-400Fs back into service. However, it seems that the easiest solution is to outsource the operation to Atlas. NCA had previously stated that their maintenance staffing had come under considerable pressure since the introduction of new aircraft into the fleet. The carrier has stated that they will now concentrate their operations and maintenance solely on their fleet of eight B747-Fs. 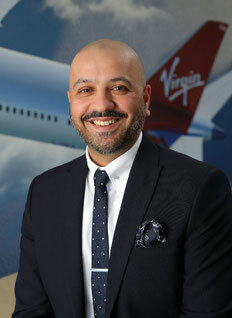 Sumith Rathor has been named as Virgin Atlantic Cargo’s new UK Regional Sales Manager. He has been with Virgin Atlantic since 2013 where he joined the airline as a Customer Service Agent. He then in 2014 took up the position as Account Manager UK for Virgin Atlantic Cargo. Mr Rathor spent the past four years in that position supporting freight forwarding agents and assisting in bringing new air cargo business to the airline. In his new position as Sales Manager UK he will be based at Virgin Atlantic’s Cargo Point facility situated near Heathrow Airport. Previous to joining Virgin Atlantic, Mr Rathor spent eleven years with UK-based Uneek Freight Services where he began in the import and export departments and moved from there to hold a senior position. Virgin Atlantic Cargo and Delta Cargo announced on 17. January that they will move their cargo handling at London Heathrow over to dnata’s City East facility by the middle of this year. Both carriers who operate a trans-Atlantic cargo partnership from Heathrow will be able to increase their warehouse space to 335,000 sq ft (31,122 sq metres). The new location will be equipped with the latest state-of-the-art handling technology. On January 14th an Ethiopian Airlines Boeing 777 freighter which was conducting a flight from Addis Ababa to Singapore apparently was way off course when it was intercepted by Indonesian fighter planes. The aircraft with the registration ET-AVN and flight number ET3728 is said to have crossed the equator into Indonesian airspace without having had overflight permission. Indonesian fighters forced the B777F to land at Hang Nadim Airport where it and the crew were held in custody. Normally Ethiopian flight ET3728 operates to Hong Kong but it is said that the airline claims it filed a flight plan to Singapore to deliver a replacement aircraft engine and that an unscheduled flight can overfly airspace of a friendly country without having to gain prior permission. It seems that the Indonesian authorities do not see it that way and some are questioning whether the aircraft was forced to land because the authorities suspected that other non-declared cargo was on board. It is normal for airlines to require a written confirmation from another country before operating a 5th Freedom flight through another country’s airspace. Flight ET3728 would normally operate to Hong Kong and from Addis Ababa it would take the so-called Great Circle Route. In this case it was well below that sector and on a far more southerly route.